Hi all! I hope you all had a wonderful weekend. I'm back with a few looks for fall/Thanksgiving. I know Thanksgiving already passed and these are a little late, but I really wanted to share them with you. Hopefully you don't mind too much! Notes: I love the idea of this polish but it needs careful application to be successful. The formula is thick but will bleed into your cuticles. Application is best with two ultra thin coats (like you would with gel polish). If you read the ad for this it says that it "can dry quickly in 45 seconds". I left this to dry for a good ten minutes before stamping over it and ended up smudging/removing wet sections when I attempted to stamp over it. It does peel off as advertised but not without some damage. If you wish to purchase this color you can find it under ID #44293. 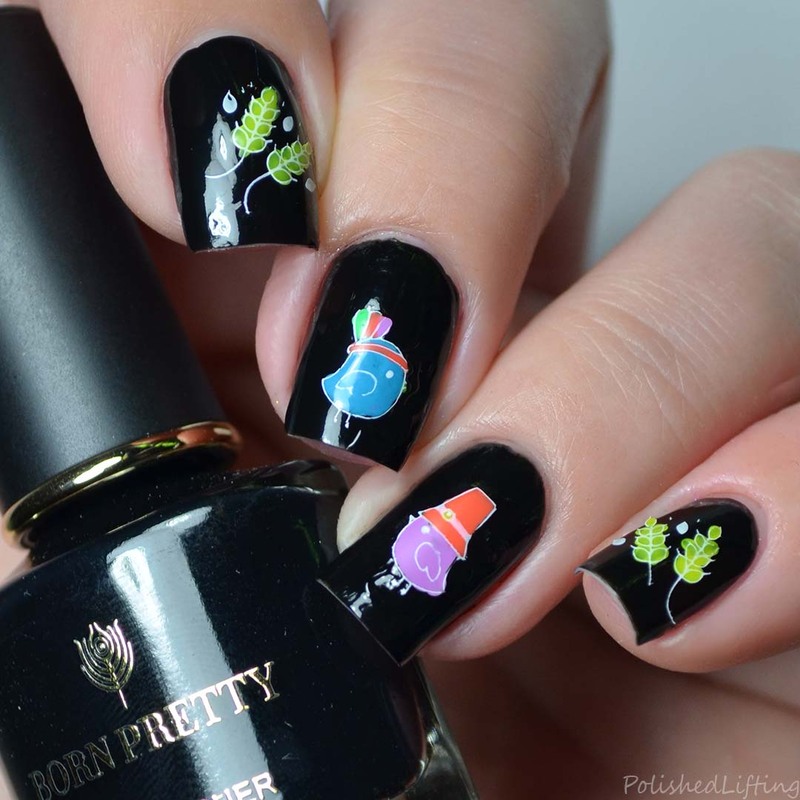 Instead of sticking with more traditional fall colors I decided to do this mani with neons. Why? I'm not really sure but I like it way more than I would have in tones of brown, red, orange, and green. Yet again, I was totally feeling neons here. I feel like neons make everything happier. The Born Pretty Store items featured in this post are currently available for sale on the website. Black Friday/Cyber Monday sales run through Monday, November 26th. Use code CBLW10 for 10% off your order. 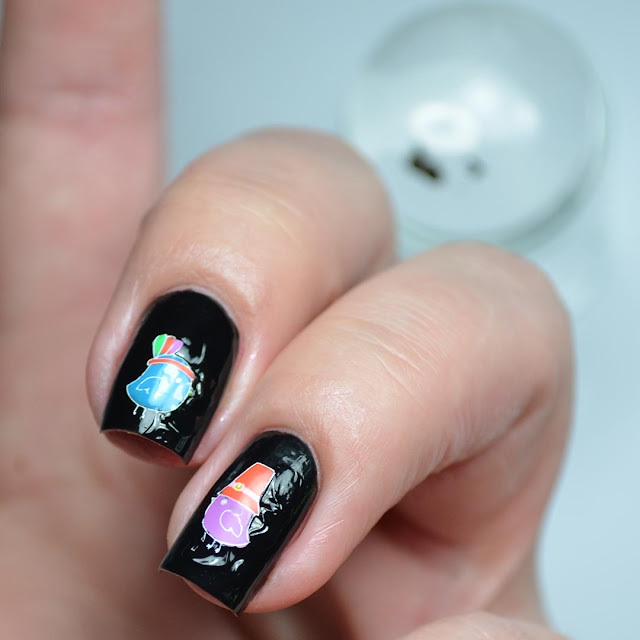 If you enjoyed this post you might like Lucky Cat Stamping feat. 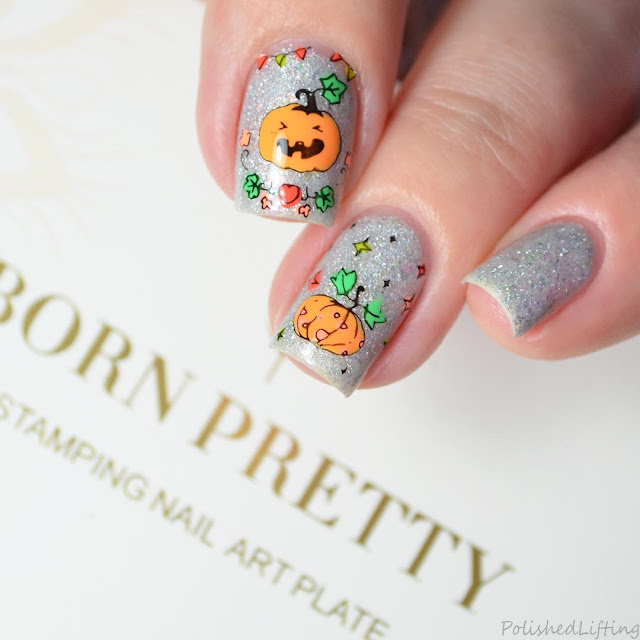 Born Pretty Store | Digit-al Dozen Indie Week and Striped Double Stamping feat. 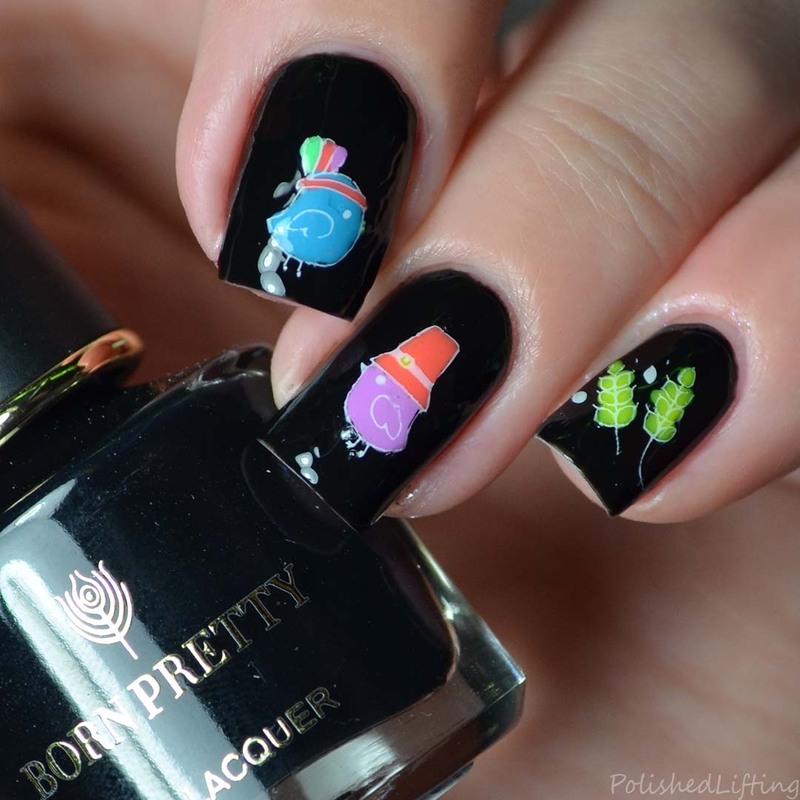 Born Pretty Store and Polish 'M.